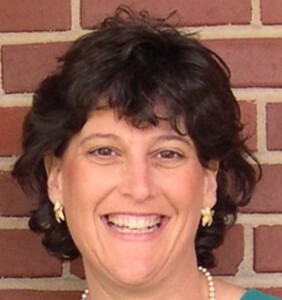 Dr. Bonnie Borshay Sneed has been a collegiate choral conductor for over twenty years and has taught high school in Oklahoma, Texas and Florida. Dr. Sneed made her Carnegie Hall conducting debut in 2007 with singers from Oklahoma, Texas and Alabama. In 2008 she was invited to conduct Brahms’ German Requiem in Varna, Bulgaria. Dr. Sneed also is a published arranger, editor, and author, and in 2015 she led a reading session with Earthsongs for her Bulgarian edition of Mari Mome at the National ACDA conference in Salt Lake City. She also presented and conducted in Chicago at the national ACDA conference in 2011. Her collegiate expertise includes preparing students to be public school choral directors, church choir directors, and vocalists. Dr. Sneed has taught undergraduate and graduate courses in conducting, voice, music education methods, choral literature, and diction. She currently is Associate Professor and Director of the Choirs at McLennan Community College in Waco, Texas, and in 2016 she toured Europe with her MCC Choirs. Dr. Sneed has been a clinician for Honor Choirs and Workshops in several states, as well as serving as an adjudicator for national organizations. In 2014 she conducted the NAVE Voices in an a cappella concert for their Carnegie Hall Debut, and they collaborated under her direction with the Mansfield University Concert Choir. She earned the BME from Furman University, the MM from Southern Methodist, and the DMA from Michigan State University.